For the first time in Bones history, we were fortunate to race as a "2 women - 2 men" composition, and without surprise, the girls kicked our butts. The team was composed of Mari Chandler, Jen Segger, Roy Malone and myself (Charles Triponez). I'll spare you the usual last-minute crisis, flight delay and on the spot gear sourcing. So, between a 5min drive from home for Jen to hours of flights for the 3 of us, we finally all met at the Primal Quest HQ in Squamish BC. Most of the preparation had to be done before, as we just had a day on site before the race start, and we were not counting on half a day of race presentation by the PQ Staff. The interesting thing was that we learned the dozens of ways we could get seriously injured or even killed on the race course... from bears to blue ice, from crevasses to whitewater, from storm to ocean crossing. After a morning of presentation, I think all of us got the point. We learned as well that the race course had to be re-routed within the last few days for safety reasons due to blue ice on a section of the glacier trek and due to Grizzly presence on berry patches on a Mountain Bike section. 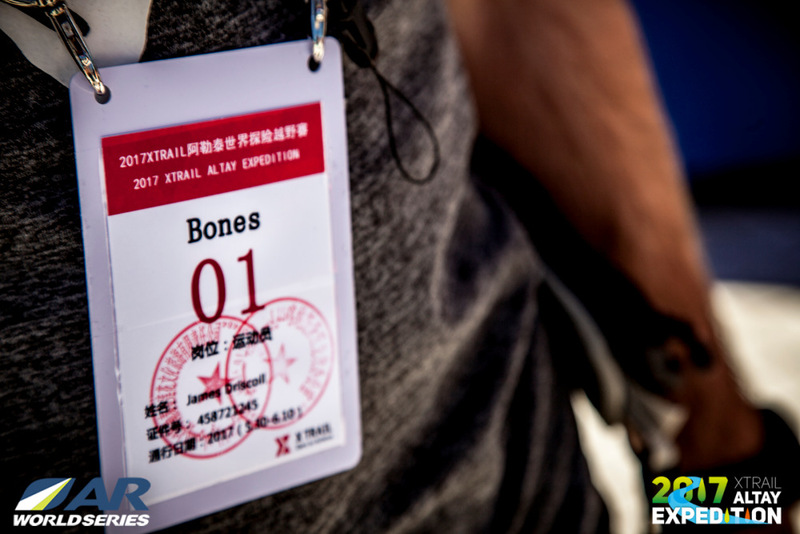 Ultimately, similar situations are not uncommon in Expedition Racing, but here the impact on the race flow was significant. Several extended dark zones of ~10h for the glacier treks and rafting section would bring the teams to multiple re-starts until late in the race. Somehow, the strategy was to race safe and fast to benefit from extra sleep during the dark zones but not to overkill and ending up wasted for the final rush. Under a blue and sunny sky, the epic bus ride from Squamish to Lillooet was certainly a sign that the race would be different. The good old local school bus could barely make it alive to Lillooet after having to stop multiple times because of the engine overheating. The less than 3h drive with more than 8000ft/2500m elevation gain took way longer and ended up delaying the race start. After an emotional opening ceremony from the native tribe, the teams were randomly split into 3 different big original canoes. Actually, only the shape was original, brand new with a full carbon hull, those canoes with up to 16 paddlers were pretty fast! 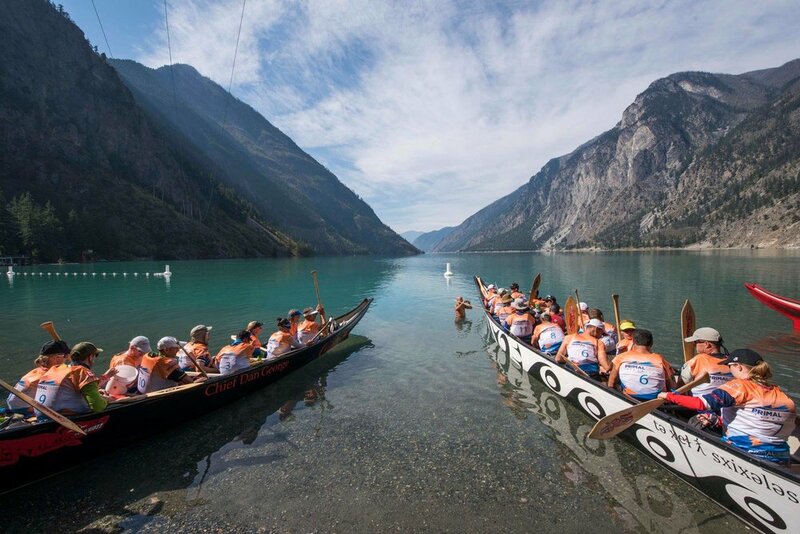 So the 1st section was a combination of ~mi/20km canoe crossing Seton Lake, running few miles across Seton Portage, a historic rural community sandwiched between 2 lakes, and finally, kayak ~mi/25km across Anderson Lake to finish early evening at D'Arcy. Paddling is not the strongest discipline of Bones, so we kept a good pace, fought the headwinds during the last hour of kayak and finished in 6.5h, a few minutes after the 1st teams. The gap was small as the 1st teams were still transitioning when we arrived at TA1. Even if we were pretty cold from being wet, the temperature was nice and we could still see some stars... not for long though. We transitioned quite well and jumped on our mountain bike gaining a position. A grueling 65mi/107km mountain bike was the program for the night. From forest roads to single tracks to local roads and up to highway... we had the full spectrum of existing roads in the Sea to Sky Valley. I was not feeling at my best during the 2nd steep grind of ~2000ft/600m elevation gain to reach the top of Pebelton trail system. So when Mari proposed me a tow, I didn't hesitate to take her up on the offer... Yes, and it was freaking steep! At dawn, on the bottom of the valley, we had a typical BC moment. We were riding strong, drafting at 20mph when suddenly a bear stumbled out of some bushes and crossed the road just in front of us. We certainly ruined his morning as he looked quite surprised and really annoyed. Roy, last in the draft, didn't even see the bear as he was just trying to avoid crashing into us! Fortunately, we all stayed upright, and the bear didn’t decide to chase us. It started to rain while we were heading down to Whistler and unfortunately rarely stopped until the end of the race! We loved the smooth and scenic Sea To Sky Trail but kinda hated the Highway section with rain/heavy traffic/massive logging trucks. We finally made it safely to the final section of the ride. We had no clue how Columbia & Quest were doing, so it was quite a surprise to see all of us reaching the last CP of the section almost at the same time. Jen & Roy pulled up a perfect navigation and riding the easier but less direct trails between Green Lakes and Whistler was fast and pure pleasure. 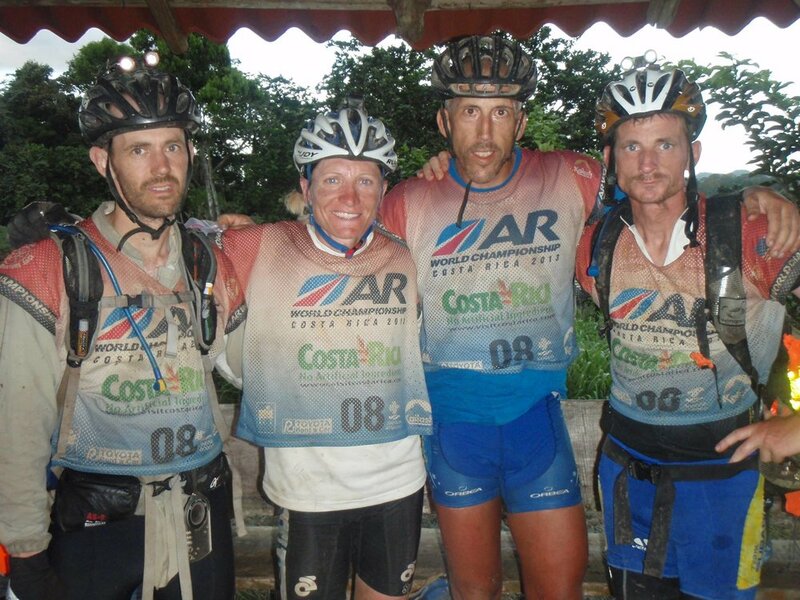 After 14h of non-stop riding, we arrived 1st at the TA, putting 20min to Quest and more than 2h to Columbia just in the last few miles... this is where having a local knowledge in the team makes a difference! Anyway, this lead was only useful to choose the best sleeping spot and be the 1st to enjoy the warm food cooked and served at the TA. We all knew the dark zone on the glacier would bring back all teams together at TA2. As we knew, the original and amazing Spearhead Traverse (from Blackcomb to Whistler through multiple glaciers) had to be replaced with 2 out-and-backs due to safety reasons. Longer distance, more elevation, and 2 dark zones were the price to pay. The option to immediately trek up to the glacier, and sleep in the mountain to be there when the dark zone opened was quickly discarded due to the uncertainty of the weather in altitude. Quest, all geared up, were about to leave the TA when it started pouring rain. So like all other teams they choose to stay at the TA and have a good night of sleep. Almost all teams had the exact same plan, eat warm, sleep well, wake up early and reach the base of the glacier when the dark zone opened. So, after a 3h trek, like an organized Adventure camp, we all reached CP7 at the base of Blackcomb glacier at 7am. To save our feet from being way too long in our mountaineering boots, we decided to carry the extra weight of a pair of running shoes. 7h of Up & Downhill on Forest Service roads can ruin your feet. We crossed 3 glaciers, scrambled some sketchy rocky sections, traversed a couple of high altitude meadows, and found our way through a maze of crevasses to reach CP10 at the top of Tremor Mountain. The "out" took us 6h30, the "back" had to be done in less than 6h00. Meaning we had less than 6h00 to exit the last glacier before the dark zone would be enforced, forcing us to camp overnight in high altitude. We pushed the pace, optimized our reversed route, traveled fast on the glaciers as we were getting used to our crampons and exited the last glacier with less than 1h of buffer! We finally rolled down the mountain to reach the well-known TA2 for another unusual night of sleep. During the full section, the 3 lead teams, Columbia / Quest / Bones were minutes apart and we were all back at the TA in roughly 19h after 25mi/40km and more than 8200ft/2500m of elevation gain & loss. Only 4 teams made it back to the TA before the dark zone. We knew it would be a tough night for the teams up there. The same solid tactic applied to the next glacier trek... eat warm, sleep well, wake up early and reach the base of the glacier when the dark zone opened. 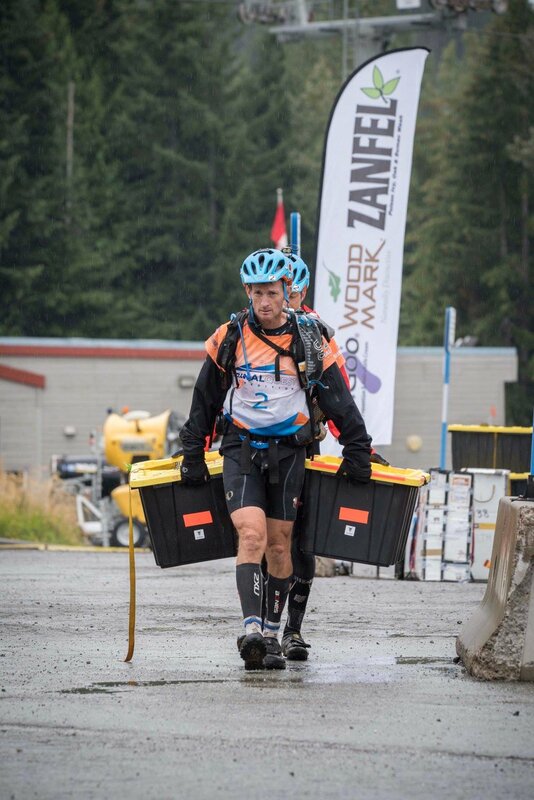 Not surprisingly, the 3 lead teams reached CP11 at Russet Lake just before the lift of the dark zone. We received new instructions that the glacier trek was shortened due to deteriorating weather conditions at the summit. Quest initiated the loop clockwise, Columbia & us, counter-clockwise, making no difference as the objective was to summit Whirlwind Peak. The name of the peak, with the addition of snow, was pretty much the description of the weather during the climb. It was wild but judging on the smiles, I'm pretty sure that all of us quite liked it. Obviously, we didn't spend too much time posing for the mandatory summit picture and we headed down fast. The trek was far from being over when exiting the glacier. We still had to cross the famous Musical Bumps and go down to the Whistler Olympic Village through a wild Mountain Bike Trail. The weight of the wet rope started to slow me down and we decided to shuffle the weight to keep moving fast. The West Bound Trail will stay in my memory as an eye-opening on the insane level of Whistler Mountain Bike riders. It's a very humbling experience when you are struggling going down a trail on foot when others are ripping it on their bike! This section of the forest was so wild that I was convinced we would bump into a bear at some point. I was and still trust Jen how to handle that kind of encounter!! The TA was pretty busy with Columbia close to leaving and Quest starting their transition. Once again, minutes were separating us. At that point, we knew that all 3 lead teams would once again hit the next dark zone and be reunited. 2 raft launches were planned, at either 7 am or 1 pm. Obviously, all of us would have all the time to catch the 7 am launch. We jumped on our bike with the intention to clear this section quickly. Except for a short ride on a train track to find a missing road, Roy mastered the navigation through the night and we reached the TA shortly behind Columbia & Quest. With hot chili and a cup of hot chocolate, the staff informed us that the rafting start would be pushed by 2h to 9 am due to rising river level... yes, it was still raining. Back to the Adventure Camp- all remaining 6 teams slowly walked to the put-in to get ready and start the last "non-competitive' section of the race. We partnered with Columbia and had quite a fun ride down class 3-4 rapids on Elaho river. Once it merged with Squamish river, the rapids were replaced with a wide and mellow flow. Our guide initiated a friendly fight with his colleagues, which became a bit overheated. After 4 Days of race, even with lots of sleep, you are not very excited when your raft guide jumps on the other boats to open their valves to slow them down! Anyway, after 20mi/35km, we reached the end of the raft... meaning the last and final restart, no more dark zones ahead. It was finally time to race! 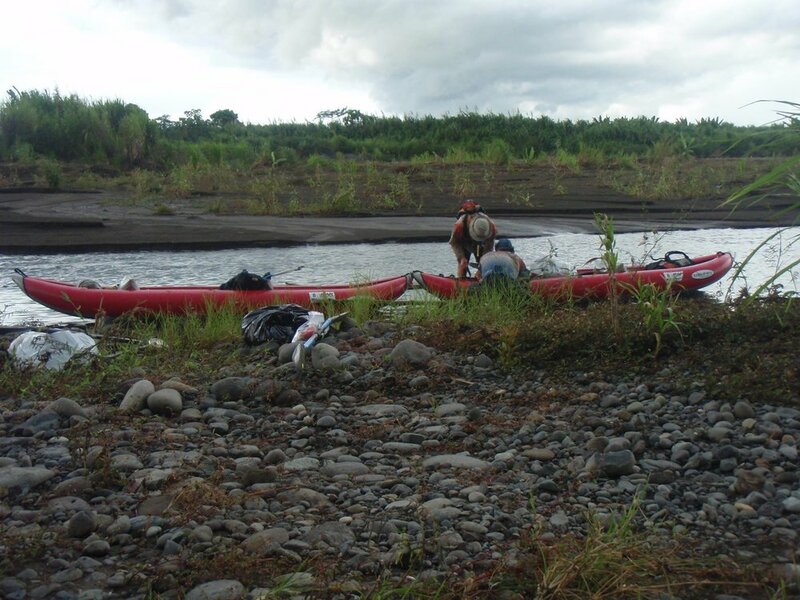 Due to our kayak skirts (we were the only team with this equipment), we took slightly longer to properly fix them, so Columbia & Quest left before us. We knew the skirts would be useful for both keeping the water from the rapids out of the kayaks and keeping us warm during the long ocean paddle. Before entering the estuary, we reached the last CP where we were told to stay on the eastern side of the channel due to increasing high winds. Quest received the same instructions, but apparently, Columbia left without being told this information. They could then take a more direct route and maybe gained some precious minutes... difficult to know! But I still don't understand why the safety boat could not relay this information! It was rainy again, but the ocean was surprisingly flat with low wind, making for a very nice and smooth paddle. We could see Quest not too far in front of us and after 5h we reached Anvil Island at the same time as Quest. We had to leave the kayak to climb a very steep, wet and slippery trail to reach the CP close to a small lake. Without thinking too much we interpreted the instructions of a PQ Staff that they were not doing any gear check as "you don't need your safety gear". We left our team gear in the boat and took only 1 bag with food and drink and individual gear. On our way up, we saw Columbia going down later followed by Quest. We could estimate respectively a 30min and a 10min gap. Back down, another PQ staff asked us to see our team first aid bag... we shared that we got the same instructions as Quest, but at that point, it was too late. We jumped back in our kayak, not thinking too much about this event. The return felt slightly longer but with a couple of caffeine gums, we kept a good pace and caught up Quest just before arriving at the TA. We carried our kayak on the other side of the highway and proceeded with a fairly fast transition, leaving the TA just before Quest. 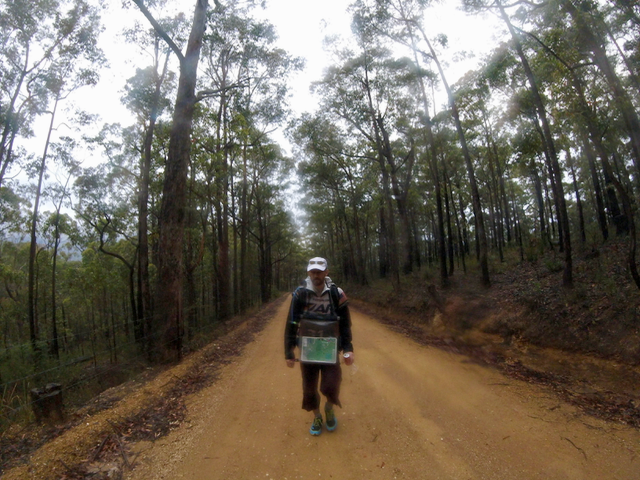 Out of 2 options, we chose to run along the highway (it was not forbidden) to reach a trail which would avoid a bushwalk. Quest took the other option and both teams reached the lake where the trails join roughly at the same time. Fueled with adrenaline, we missed a left turn and ended up doing a full loop around the small mountain lake, losing sight of Quest! As we were switching off our headlamps, Roy was on fire and pushed the pace to run on the flat'ish section. I was almost happy when the trail started to be too steep to run and switched back to fast trekking. The next CP was on the way to Mt. Habrich which required us to take a hard left to climb on the ridge. It didn't take too long to realize that we had missed the turn and we were heading towards Sky Pilot. While going back down the trail, we spotted Quest scrambling up a rock field. We learned later that we passed them while they were hiding in the bushes hoping we would do the same as they just did... which was missing the left turn. Those young guns haven’t been racing long, but they learn fast the old tricks! 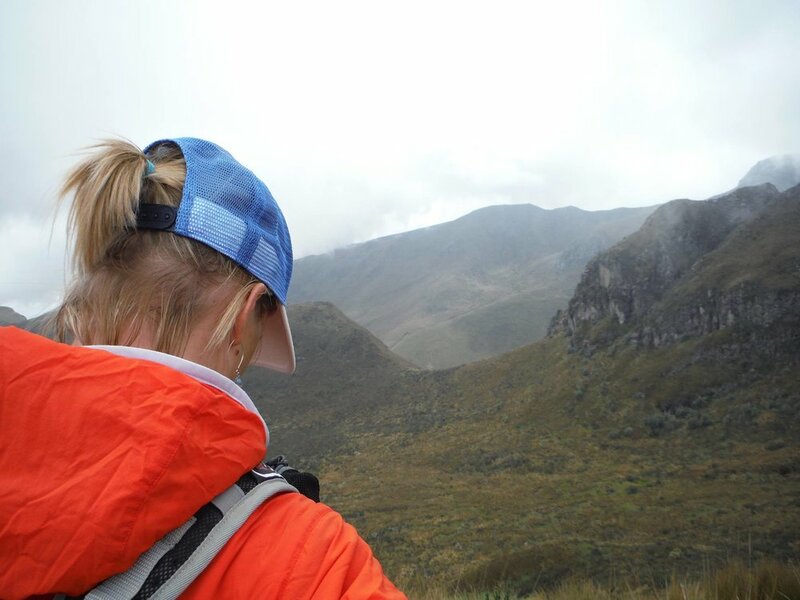 Even if it was constantly raining, we could see the beauty and wilderness of this area. We were just hoping that at some point, the sky would clear up! When we reached a saddle next to the summit of Mt. Habrich, we had no idea that we would have to spend quite some time on this freezing, raining and windy ridge. Inside a tent, Ian Adamson (OCR President and Adventure Race legend) seemed quite happy to deliver the bad news. 2 penalties of 45min each had to be served on the spot. - Taking a forbidden Forest Road during the 1st Moutain Bike. - Not having our mandatory kit during the climb on the Anvil Island. Obviously, we knew the later, but we had no idea of the 1st one. Apparently, this FR got forbidden between 2 versions of the road book and we fail to record that on our maps. We used our tarp and emergency blanket/bivy to try to stay “dry and warm” for 1.5h. Quest as well served a 45min penalty. I still hear Jen laughing so hard watching Roy after he destroyed his bivvy bag by poking 3 holes at the bottom, turning it upside down, and wearing it as a dress. The re-start was tough and dangerous as we crossed an extremely steep, wet and muddy section with fixed ropes while we were all recovering from the mandatory stop. While moving as fast as we could, high on the ridge, we had this moment we were all waiting for... the sky opened, the sun came in and we were lucky to finally discover the landscape. It did not last long, but it was enough to decide to come back to see more of it some day soon. Our pace and navigation were good and we ended up catching Quest at the rope section. We enjoyed the sun at the summit of the cliff while waiting for Quest to finish their rappel and the PQ crew to change a damaged rope (time credit). Jen was refining the strategy for the last Mountain bike, naming trails and deciding which one would be the fastest considering all parameters! We were counting on her to guide the team through the meanders of her backyard trails. Kiel (Jen's son), her mom and friends welcomed us at the TA. It was like arriving home, but all of us stayed focused and executed a fast transition. After 50 yards, Quest took a right but Jen went straight, this is when I thought we had a strong option for the 2nd place. Jen took us to the finish line in record time, closing in 2nd place. Quest arrived 15 minutes later after 5 days and 10 hours of a wet, grueling race. The Sea to Sky region is stunning, even in the rain, so I'm already looking forward to being back when it will be sunny. It's always delightful to race with Team Bones and again racing with 2 women/2 men had been an amazing and very humbling experience. It's difficult to summarize a team in few words, but those ones came to my mind very often during the race; Experienced, strong, resilient, fun and caring. Thanks Jen, Mari & Roy for the ride. I'm looking forward to the next one! This was one of the fastest races we've participated in. It was a non-stop, gas pedal down, adventure. We started with a big deficit after the first 30 km paddle and spent the rest of the race working back toward the front pack. After almost 103 hours of nonstop racing (with only 5 hours of "sleep" -- mostly lying in the weeds being eaten by Australian bugs) against the 94 best teams in the world, we finished 8th. Picking up a feathery fifth teammate on the first trek. "Sometimes you eat the bear and sometimes the bear, well, he eats you." Expedition adventure races are bears. 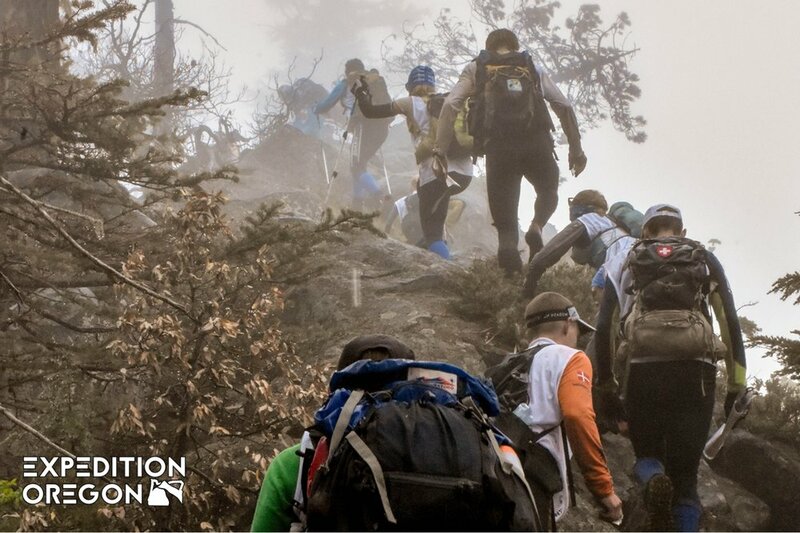 Logistically complex and both mentally and physically challenging, big races have the added unpredictability of Mother Nature. If you do enough of these big races eventually some of the randomness of the natural world catches up with you and in our case, at Godzone this year, the bear, well, he ate us. We all arrived in Kaiteriteri a few days before the race feeling pretty fit and ready for an epic racecourse. The one bike that was lost in transit showed up mysteriously a day late, despite the airline never able to tell us where it actually was. As our bodies adjusted to the time/date changes, we decided to stretch our legs on a little bush hike. This sounded like a great idea and would give us a chance to see some of the off trail bush we might encounter. Let's just say gorse might be the worst plant on the planet. Gear check, registration, and briefing done (Godzone has this stuff dialed, and it's incredibly easy and efficient), we prepped our bins with brief descriptions of the stages, but no maps. This allowed us a rare good sleep the night before the start with not much to do. The next morning we got our maps, made some minor changes to our bins and had a leisurely stroll down for a noon start time. The first stage is always chaotic with everyone telling themselves they are going to be smart and NOT sprint of the line, then doing the exact opposite. The coasteering was short and sweet with teams crawling over each other and jumping in and out of the surf before a quick transition to a tame, 3+ hour paddle. At least, it was tame until the surf landing. We saw teams flip, roll, and yes, cartwheel into the beach with hundreds of spectators cringing and pointing. When our turn came, Liza and I miraculously stayed upright and just side surfed right up to the sand. Chris and Roy weren't so lucky and swam a bit, but only lost a few pieces of cheap, non-essential gear (unlike the team that lost several GoPro cameras... ouch). After a quick transition to a bike orienteering course we rode through Richmond and into the hills behind Nelson. After some slow going through a mildly confusing (and painful) gorse bush bash with the bikes, we cruised into the next TA feeling pretty good. The first real test of the race was next, a 50+ km trek where we would meet the bear. The wind, fog, and intermittent rain (does it still count as rain if it's horizontal?) gave us about 50-100 meters of night time visibility on the ridge. As dawn broke, and we recovered from a brief detour on the wrong ridge, we approached checkpoint #10 over a scree field. Roy and Chris circled to the north of the check point about 5 meters below the summit with Liza and I close behind. Another team (Adventure Junkies-- Hugh lives a few miles from Chris in Sydney) was interspersed with us as we located the CP. As Chris crossed the same rock that Roy had just stepped on, a compact car sized chunk of the mountain peeled away and carried Chris down the slope. After tumbling and grunting about 25 feet, with huge boulders bouncing over and under him, Chris somehow managed to stop himself inches from a 15-foot vertical drop to more jagged scree. In the silence that followed, the last rock ricochet echoing down into the fog, we all imagined the worst. Liza refused to look. Before I could even scramble down to Chris, he called out that he thought he was ok. Everyone breathed a huge sigh of relief. We slowly took stock of his injuries; many large contusions, deep gashes to his backside, a large deep and complex laceration to his elbow, and a badly sprained ankle. None of the injuries were big picture serious, but they put an end to the race portion of our adventure. Even though the race was over for us, we were still 25 kilometers, mostly off road and steep, from the nearest road. With his trekking poles shattered in the fall, Chris used Roy's (until a weak-ankle triggered fall snapped both of those as well). We all took turns carrying his pack while Chris stoically suffered on legs and ankle newly tenderized by Red Hill stone. Eventually we found our way to a trail, which greatly improved our speed, but the second half of the trek still took more than 24 hours. The first half took less than 9. Now several days later, with the exposed bone on Chris' elbow covered and no signs of infection, we've all had some time to reflect. You can't dwell too much on the random and unpredictable. We come to these races prepared and fit, then we go out and see what the bear has in store for us. It may have mauled us this time, but serves as great motivation for the next round. 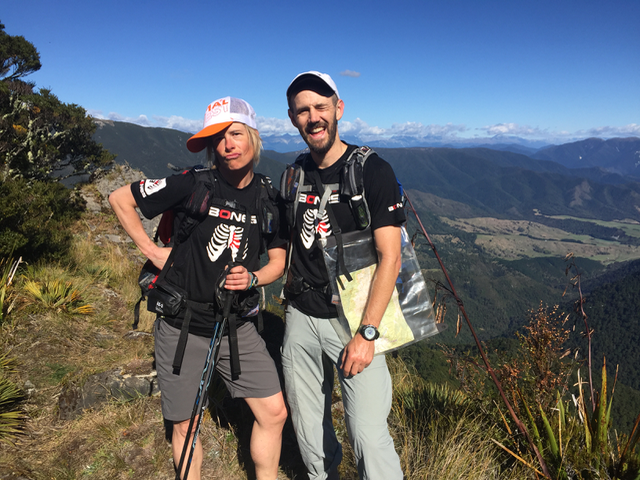 While we didn't finish the race, Team Endurancelife did, and they made a great video, which shows the amazing country of New Zealand's South Island. Aptly named. The earth had been blackened by the King Fire that had ravaged 95,000 acres in 2014. Burnt out matchstick trees sprung from the ground and littered the trail. As we descended the ash-powdered trail to the water, swarms of miniature flies boldly landed in our eyes, nose, and mouth; somehow knowing our hands were occupied by our handlebars. The heat, amplified by the char, had us riding angry. The reservoir was an anemic puddle- a victim of the drought. We should have anticipated trouble. It was trouble. Hell Hole would become our personal purgatory for the next 24 hours….. Pass. Four hours of hike-a-bike and a quick road ride along Highway 88 brought us finally to Kirkwood, where Godzone had been recovering. Evidently one of their teammates was having a hard time at the 8000+ foot elevation. No one else had yet arrived. Both teams left the transition within minutes of each other, with GodZone off first. 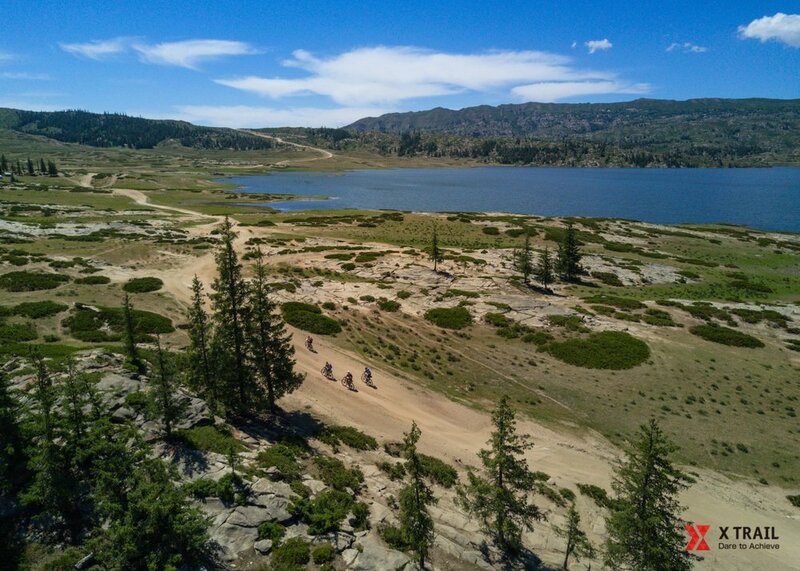 The trek to Calaveras Dome took us over Kirkwood Mountain along the Kit Carson range to Bear River Reservoir and then south to the base of Salt Springs Reservoir where a 1200 foot ascent up the face of Calaveras Dome would challenge teams technically and physically. We made good time on this trek, especially while picking our way down the extremely steep descent off the spur down to Salt Springs. We had arrived first to the dome and quickly rigged up. Jim went first and flew up the first of three pitches with his foot ascender setup. Mari was on his heels and nearly matched pace. Jason went third. Part way up the first pitch, Jason started having problems with his equipment. His croll started jamming and his harness belt let out some play, putting him in a tough position to make good progress. After 90 minutes, I jumped on the rope that paralleled his and made my way up to see if there was anything that I could to help. Unfortunately, his only option at that point was to make it to the top of the first pitch, clip in at the anchor, and get re-rigged before heading up the last two pitches. Jason finally made it to the top, nearly five hours of rope time, physically spent but in surprisingly good spirits. All of this happened without any sight of other teams, so we knew we had at least a 3-4 hour lead. A scramble rappel and 1000 foot bush bash got us back down the mountain to the road where it was a relatively short trek to the next transition and a few hours of much needed sleep. The next biking leg was fast and fun. All on road, we flew through the small towns of Amador County’s wine country and stopped briefly at the historic bell tower in Placerville (formerly known as Hangtown in the days of the gold rush). A screaming downhill on Highway 193 got us to Chili Bar and the start of the whitewater kayak section at 10:30 AM - perfect timing for the dam controlled release of water and the relatively short window of 8:00-11:30 AM that boats would be allowed to get on the river before the release was stopped and boats became stranded. The South Fork of the American River has many great memories for me. I guided this river for eight years and actually met my wife Trish on a trip in 1990. Knowing the river didn’t keep us from some carnage however. Mari and I took the lead, with Jason and Jim following our line. The water was pumping pretty good at around 1800 cfs, it made for big holes and standing haystacks in our small Miwok inflatables. Our first swim was at Second Threat rapid as we didn’t have enough power to get through the hole. I jumped up on the flipped kayak, pulled Mari up, and we rode Third Threat upside down before eddying out to recover and resume. Jim and Jason had made it through fine. Troublemaker, however, would get both of us. The largest rapid on the river, Troublemaker is a III+ with a big hole and a rap rock to navigate. Both boats were pummeled in the first hole and all four of us ended up swimming- a yard sale of paddles and people. Somewhere during all of this, Jim broke his Epic kayak paddle and the boy’s boat was left to navigate the lower half of the river with Jason using a single blade as a rudder. Remarkably we both ran the lower river, known for fast class III rapids like Satan’s Cesspool and Hospital Bar, without mishap and only four hours after putting on the river, we took out at Skunk Hollow refreshed and ready to run. The afternoon sun cooked us in 95 degree heat. But I was in my element. Skunk Hollow is only about 15 minutes from where I live and much of my training is done in the dry, technical area where we would be trekking. I told the team that if we pushed hard here, we could make it to the next rafting section before the dark zone. With only GodZone having made the previous kayaking cutoff, we could put a huge gap on the rest of the field. Running the flats and the downhills, and working hard on the ups, we flew through rest of the day and night along the trek, briefly getting turned around for about an hour where new trails became a tangle of redundancy. We arrived at the transition area at Ruck-a-Chucky at 7:30 AM and were shuttled to the top of the Class IV-V Middle Fork of the American River. The rafting section was a great relief for our feet and a refreshing way to beat the heat of the day. When we arrived back at Ruck-a-Chucky around 3:00 PM, we quickly transitioned to bikes, wanting to leave before GodZone arrived. As we were about to leave, race management got a call from the Forest Service stating they didn’t want teams on the trail south of Hell Hole Reservoir. We were held up for 45 minutes while management relocated CP 24 to accommodate the mandate. In reviewing the maps for the final bike section, we determined that it would be a huge section, probably taking 30 hours to complete. As we headed out toward Hell Hole, we felt confident physically and knew that with our current lead, only a big mistake would cost us the race. Climbing out of the canyon and onto Foresthill Road, we headed east to Michigan Bluff where we hit the famous Western States Trail just as it was getting dark. The Western States 100 is run each June in the American River canyons and tortures runners as they descend from Squaw Valley to Auburn. Primarily single track, the trail is well defined, but extremely technical. We were to ride up the trail until it spit us out near Hell Hole. Throughout the night we would descend super steep switchbacks, hit the river bottom, and then climb (hike-a-bike) back out the other side; losing and then gaining 1500-1800 feet with each circuit. Only two mishaps occurred that night- Mari crushed her derailleur hanger but had brought along a spare which Jim quickly replaced, and Jason flew Superman style off a steep embankment stopping only because a tree happened to grow just 30 feet off the trail and grabbed him and his bike before they rolled too far. By the time morning rolled around, we felt fully abused by the Western States. Low on water, we stopped at a campground that had been closed by the fire. Tractors screamed as ash and dust and oil all mixed a cocktail of misery. A lone operator covered in filth wondered why we were riding through the deforestation exercise. Damn, it was hot! By 11:00 we finally hit CP 24 and the entry to Hell Hole Reservoir. I could write a few pages about the next 24 hours as we bumbled around the Hole on the way to CP 25, but I’m not sure I want to relive it again. Suffice to say we spent the rest of the afternoon and evening looking for what the map showed as a clearly marked trail which would take us up 2800 feet to the ridge and the Rubicon Trail. Little did we know that the trail hadn’t been used in over 50 years…. Cairns and ribbons teased us toward dead-ends and rock faces. By the time darkness came, we knew where we were, but still had not found the trail. By now we had been on this bike section for 30 hours and our food supplies were near zero- a few bits of jerky , a pack of Spam (which only Jason will touch) and three baggies or sour patch kids (?!?)….. We stopped searching around 2:00 AM and decided to sleep until daylight when the sun and hopefully our wits returned. As the sun broke, we decided to try attacking the trail a little higher on the road leading into the reservoir. We found the trail easily enough and followed it for about 15 minutes before it petered out. Frustrated and hungry we made one final attempt to locate the trail at the far end of the lake before deciding that it just wan’t there. Unable to think clearly, we decided to return to CP 24 and strike out south - well away from the Hole and a bit out of the way, but any place other than where we’d been. On the way back out, GodZone passed us coming in. Not much was communicated between the teams as I’m sure they were in shock to see us and we were too frustrated to be very friendly. Misery showed on their faces as they were experiencing the same heat, ash, and flies that we had suffered 24 hours prior. Back at CP 24 we found out that the only illegal trail to travel on was the one directly south underneath the reservoir, so we struck out southwest where we hit a river and shouldered our bikes for a 1600 foot hike straight up a mountain to the ridge that would ultimately get us back to CP 25 and the Rubicon trail. By now, it was getting dark again and Mari was handing out one sour patch kid to each of us every 30 minutes. We were able to garner the sympathy of one old lady who donated a can of chili and a bag of almonds from her cabin in the woods- likely preventing us from eating each other. As we hit the Rubicon trail, we learned that GodZone had hit CP 25 about 90 minutes before we did- somehow having made it above Hell Hole in about 10 hours, and where we had floundered for 24! From CP 25 to the transition area, we rode the Rubicon Trail, which is a famous trail for jeep and other extreme 4X4 vehicles. High mountain slabs and rock-strewn gullies made riding a challenge, especially at night while trying to navigate the twisted route. Sour patch rations, once gone, were replaced by Listerine strip rations (hey, 6 calories!) and a five minute and ten minute sleep before we stumbled in to the transition. Jim did a great job navigating on empty and Mari kept everyone motivated to keep moving despite the challenge of not being able to clip in due to her broken cleats. GodZone was sleeping as we entered the transition. We had no choice but to join them as our tanks were past empty. A lot of food devoured and three hours later, we were up and off on the final trek. Godzone had left less than three hours before but we knew that unless they made a mistake, it would be tough to catch them. We pushed hard that final trek- never stopping and jogging when we could, but by the time we got to the final TA to the paddle finish, we had only made up an hour. With a six hour paddle down the east shore of Lake Tahoe from King’s beach to South Shore, we weren’t going to catch them. Kiwis are great paddlers. We decided to get one final sleep before putting on the water. Knowing that the third place team was still hours behind, we slept enough to ensure we wouldn’t fall asleep on the water and to finish at dawn, which is a much better way to end a race than during the dead of night. My family and several friends were at the beach to welcome us home after 183 hours of non-stop racing. 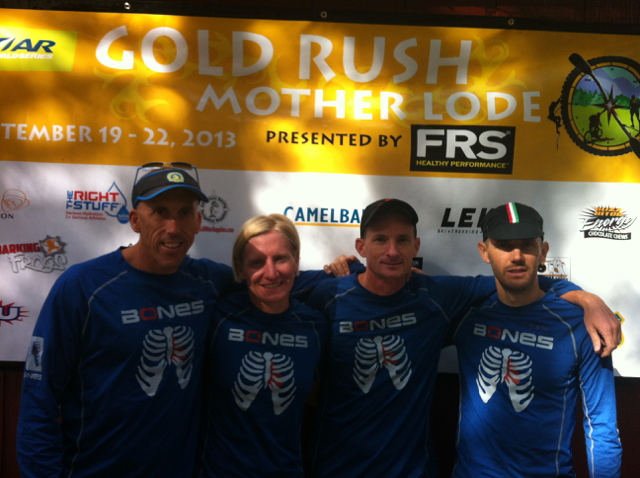 Team Bones finished second after a feisty week-long battle against GodZone, the Sierra Nevada, and our inner demons. As I sit writing this, feet raised with toes still numb and tingling, I’m struck by the tenacity and human spirit that drives teams to finish a race like this. Five of the eleven teams finished the whole course, five finished a slightly shortened route, and only one team had to drop out. Only surrounded by teammates that you trust and care for, can you push beyond what would be physically and mentally impossible on your own. I try and take lessons from each race; wisdom that will help me make better decisions the next time. The lesson during this race was a costly one. In Hell Hole, we spent 24 hours searching for a trail that would lead us up and over the ridge. Clearly marked on the map, the trail would have made the trip a fairly easy one. But the trail was just the means to get us to the ridge- it was not the destination, which is how we focused on it. We knew where we were. We should have put our heads down and carried, dragged, pushed and hauled our bikes through the bush and up the to ridge. It would have been tough, but as the Kiwis proved, it was doable. Lesson: Focus on the destination, not the route. Jim, exceeded all expectations. Super strong- especially on the bike and he took over the bulk of the navigation. Focused and efficient in transition. Welcome to the expedition scene! Jason, who probably suffered the most during the race, always did it with a smile (or at least a grimace). Never a complaint or a doubt that he would finish. How can anyone get so dirty? Or eat Spam? Mari, who made a last minute “go” decision, continues to amaze me. I’m convinced she’s one of the best AR athletes in the world today- male or female. Certainly a top-three female. When a pack needed carrying this race- she was the one schlepping it. Transition queen. She makes us better.